Zestaw bezprzewodowy MSH-887 - Agraf Sp. z o.o. Zasilanie Receiver: 12.8 V DC, 250 mA, with adapter included Transmitter microphone: 2 x LR6-AA batteries. Accepts rechargeable batteries. 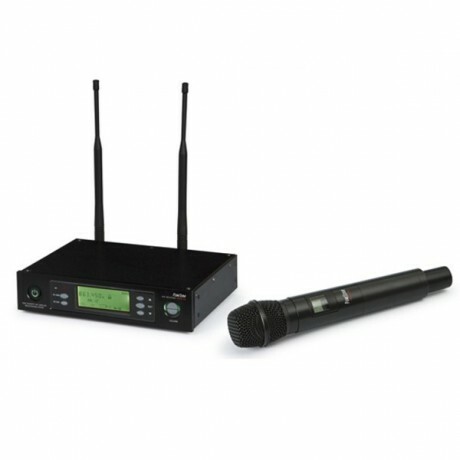 Opis True Diversity receiver with hand-held wireless microphone with unidirectional electret condenser capsule. Auto-scan function. Infrared transmission from the channel to the microphone. Dismountable aerials.